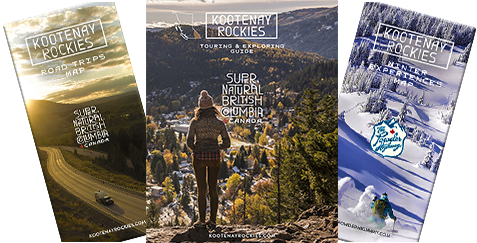 Retallack provides world-class cat skiing, snowboarding and summer mountain biking experiences in the remote wilderness high up in the Selkirk Mountains. It is one of those out-of-the-way places that you will never forget. It is renowned as having some of the best ski / snowboard terrain and snow in the world. The terrain at Retallack is steep and possesses numerous features that are only suitable for advanced to expert skiers. The area is known for its consistent powder snow, steep tree skiing (which includes 800 year old cedars) and pillow lines. The operating area is approximately 40 square kilometres (10,000 acres) on three main mountain peaks called Reco, Wishful and Texas. These peaks and their long alpine ridge lines form perfect snowcat access drop off points at elevations between 7,000 and 8,500 feet. Retallack offers professionally guided backcountry mountain packages. You would access winding single-track descents of up to 6,000 vertical feet via a combination of off road vehicles and helicopters. The Retallack Lodge is located approximately one hour drive north of the city of Nelson. It is accessible by car. The lodge sleeps up to 24 guests in 11 comfortable guest suites. Amenities include living room with leather sofas, granite fireplace, dining room, bar, games room, entertainment room, sauna, outdoor hot tub, wireless internet. Guest suites include single or double beds with goose down duvets, bathroom with shower. Biking in the Selkirk Mountains.